Did you know that September 11th is National Grandparents Day? I know many of us will never forget this date due to the historic tragedies of the past, but isn’t it awesome to know there is such a positive to this date too? While my grandparents may have passed or became distant; my children are blessed to have four special people in their lives that they call Meme, Grandma Alice, and Nana, and Papa. They did have an amazing Vovo too (Portuguese for grandfather), but he has since passed, but will never be forgotten. 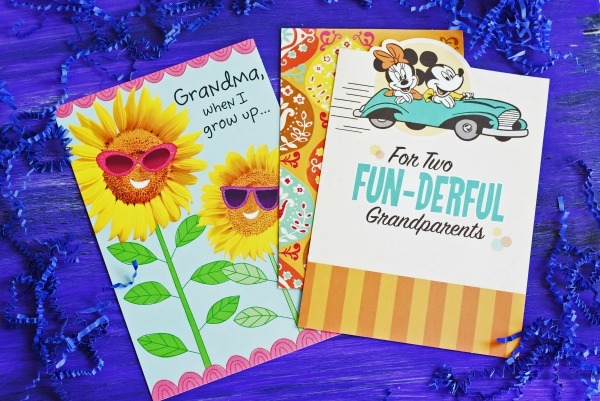 To honor my children’s grandparent figures, we knew some special cards from Hallmark were in order. 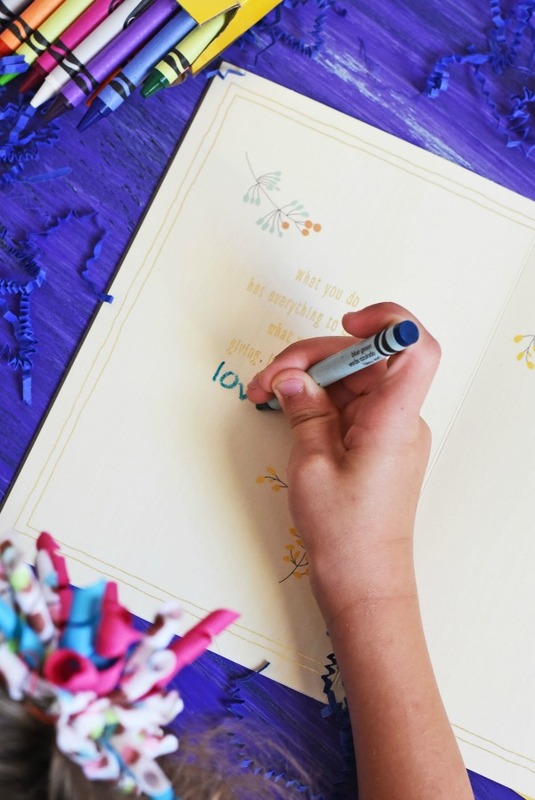 Giving someone a Hallmark Card is the perfect way to show them how much you care. We love getting our Hallmark Cards from Walgreens because they have such a large section for pretty much every occasion ever! I love looking through each section of neatly displayed cards to find the perfect ones for each person. My kids had a blast picking out four special cards for their family members. It was a tough decision, but the four cards we chose resonated with our kids either with the imagery or words spoken inside. 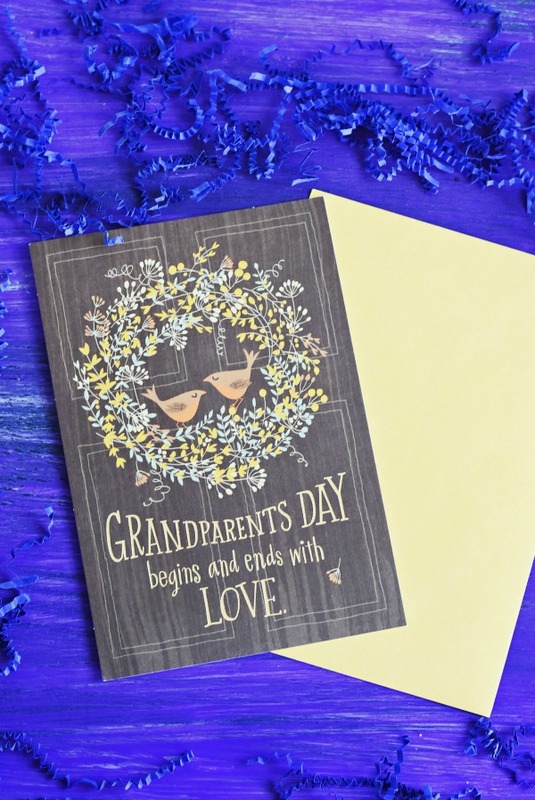 My kids wanted these cards to be perfect because they love their grandparents and the special times they spend together. After my children added finishing touches to their Hallmark Grandparent’s Day Cards, I asked my kids some special words of wisdom they remember/ keep in mind from their grandparents. Makenzi (9): I remember when Vovo used to tell us to always listen to our mommy and daddy and behave for them. He was never afraid to discipline us if we did not listen to him or behave…I miss him. Khloe (7): Nana always tell us to try our best. It is ok if we are not perfect…so that means we do not need to get 100 on our spelling test, right mom? Blake (4): Meme always tells me to be a good boy. She said when I am older I can help her on her farm and be just like Vovo was and drive a tractor. But, I have to be good first…so I am going to be good. Gosh, some of these candid conversations with my kids reminded me of when my Vavo, and Vovo were around. They passed away when I was 15, but will always hold a special place in my heart. There was a language barrier so it was hard to hold full conversations with them, but I know my Vavo could cook. She loved to cook, and would be at her happiest place when everyone was enjoying her delicious food. Someday, in the future I hope to be a grandmother like that! Since most grandparents love tea I wanted to make an inexpensive gift to pair with my children’s Hallmark Cards. My mom often uses the phrase “not my cup of tea”. 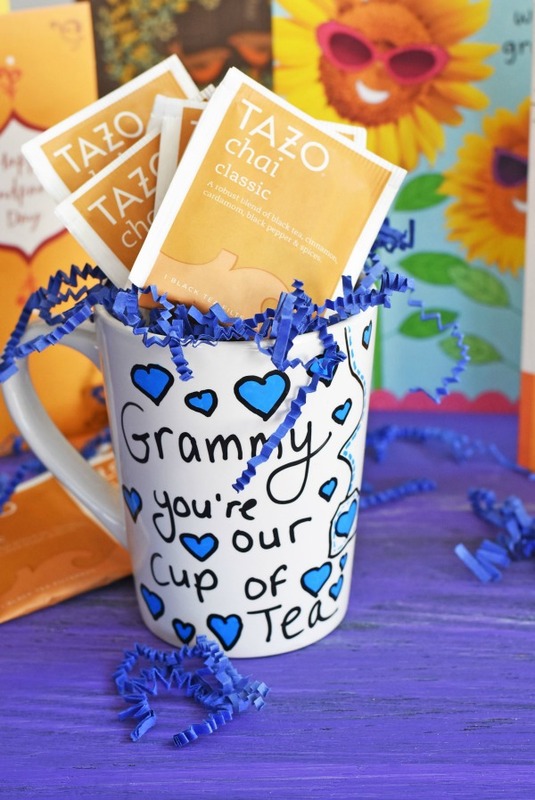 My kids thought it would be cute to create a “Grammy you’re our cup of tea” mug. 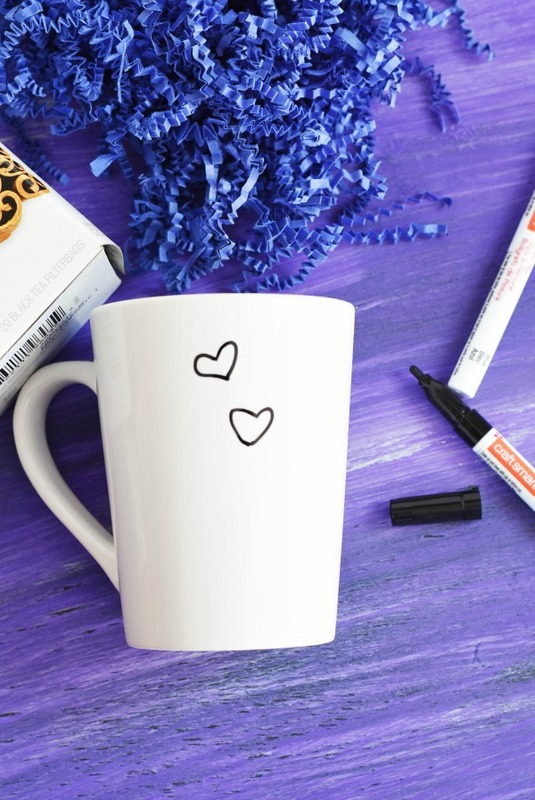 Some simple paint pens, a cheap mug, and some Tazo tea from Walgreens all came together to make a cut Grandparents Day gift. Wash mug and dry it completely. Once mug is completed, place in the oven and bake for 30 mins at 350 to set the paint. After your mug is cooled, place filler in mug and tea. 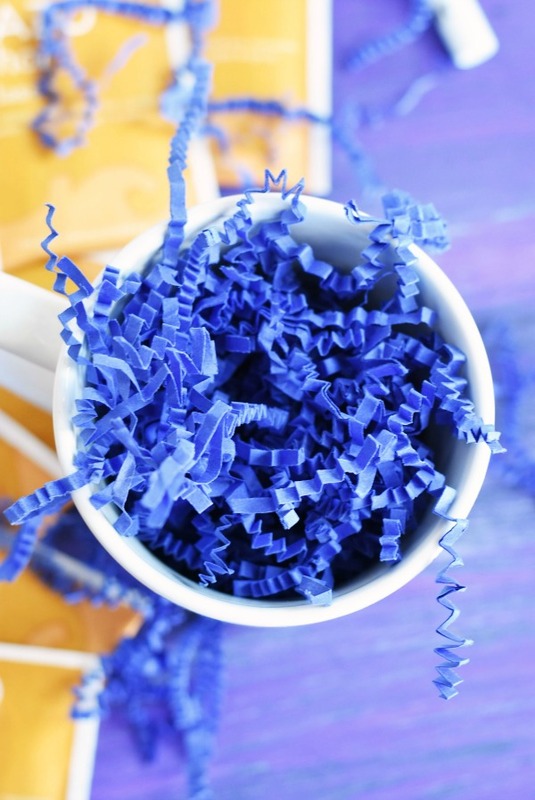 *Optional place mug in a small plastic cellophane bag and tie it with a ribbon. Make sure you tell your recipients not to use harsh scrubbers on the mug because it may scrape the paint. 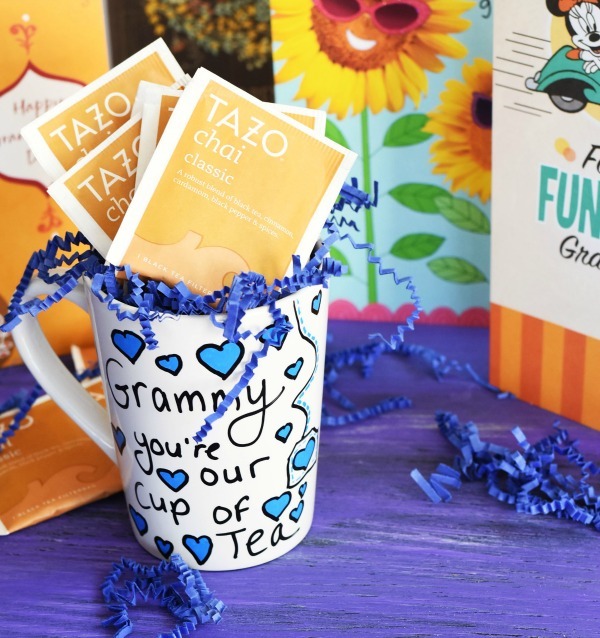 Your grandparents are sure to love this “Grammy you’re our cup of tea mug”. Be sure to pair this DIY Grandparent’s Day painted mug with a Hallmark Card and you will be all set for September 11th. What are some special anecdotes your grandparents shared with you that you remember? This is absolutely perfect for my mom! My dad would want coffee but my mom would want tea. My son would love to do this for his grandparents. This is such a great idea! I am sure my mom would love a gift like this, if the kids made it she would treasure this forever. I love that so much! handmade gifts are always the best, and I’ve always loved to give handmade cards. Those are wonderful gifts! 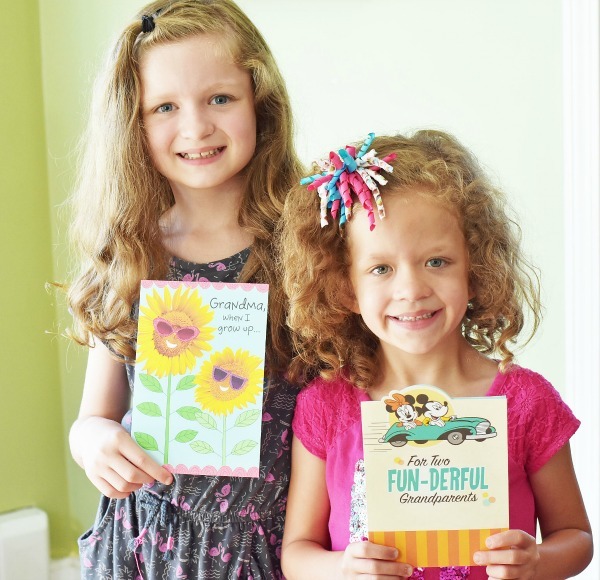 I always have the kids make handmade cards as gifts for every special occasion. This is a very sweet and thoughtful gift. I think I’ll swing past the Dollar Tree for some mugs and tea packets. My girls will love this! What a great idea for Grandparents Day. This is a gift that comes from the heart and would be cherished. I almost forgot that Grandparents Day was coming up. This would be so easy to do and inexpensive as well. Thanks for the idea. This looks so fun! But last time me and the kids tried to decorate our own plates and the ink didn’t go permanent 🙁 gotta read more up on it. This mug is so awesome. I love giving personalized gifts and receiving them, so this is perfect. I am all for decorating my own things and not buying them in the store. I love your creativity! What a cute idea for Grandparents Day. This is sweeter than any mug you could buy in the store. I am happily expecting my first child and this is a good idea to keep in my mind for my parents. They would absolutely love this type of gift! I love this idea! I can’t wait to try it, now everyone will be getting hand painted mugs on all special occasions. I’m gonna have a ball with this and so will the kids. How sweet to add something in the mug like tea, great idea! A classic greeting card is always special and will never go out of style. 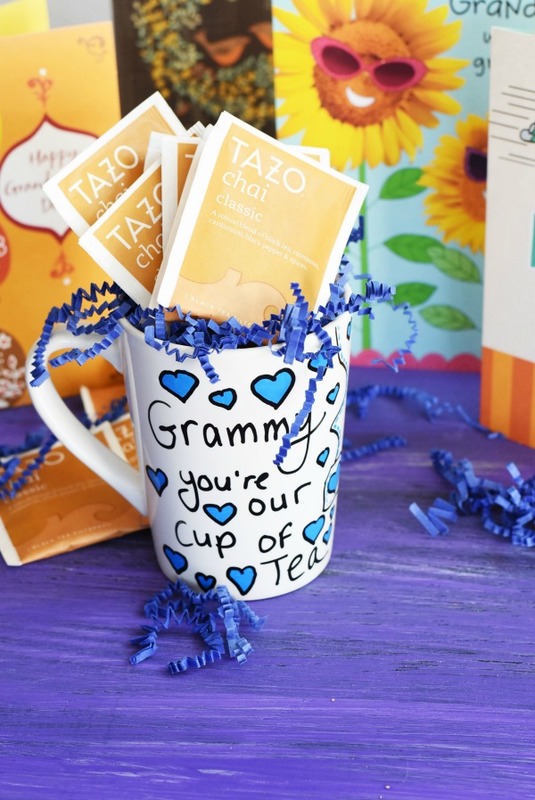 I just love this simple gift idea, especially since my mom adores her tea time. That’s such a cute idea! I love that this is something the whole family can make! I love handmade gifts like this! I would love for Liam to make this for his Grandmas- I know they would love them! These are so cool! I remember my grandma loves to receive a card from us. And a painted mug will be a perfect gift! Oh what a lovely gift! I like the cards you picked out. The mug ended up so pretty! This is a perfect gift for Grandparents day. I have used this technique to make a mug before and it works really well. This is a great gift idea. I have a few ideas that I want to put on a mug for my parents. I will have to get the supplies I need to make this on the weekend. It is a fantastic gift idea. This is such a great idea! I’m sure any grandparent would love a gift like this! So cute! This is such a fun and easily customizable idea! Pinned it! Such a fun idea ! I’m totally stealing it! What a great craft!!!! And definitely for the reminder about Grandparents day! This is such a great idea! Love it! It turned out super cute. What a great creative gift! My parents love mugs and I’m sure they’ll love a custom made mug from their grandkids! Such a really cute idea! 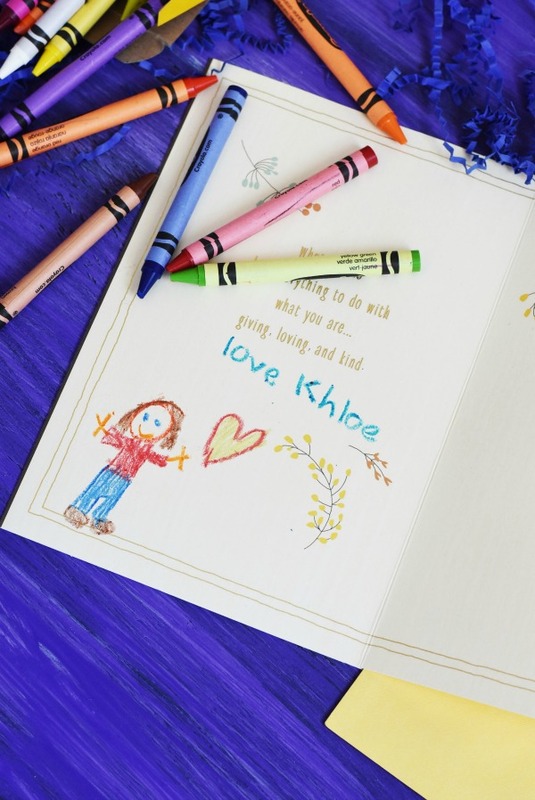 My kiddos don’t have any grandparents in their lives but if they did what a great gift idea! What a fun gift! Love to make things, especially for grandparents. Grandparents are awesome and they deserve all the recognition in the world… especially for spoiling us! Lol. I think these are great ideas and it’s really sweet of the kids to participate! Wow, I haven’t heard of this day! It would be so nice to hand paint a gift for granny! I don’t remember too much about either set of grandparents. However my father’s mother loved Snoopy and whenever I’d visit her we’d talk about what he did in the comic’s pages that week. What a sweet idea this is for kids to make. 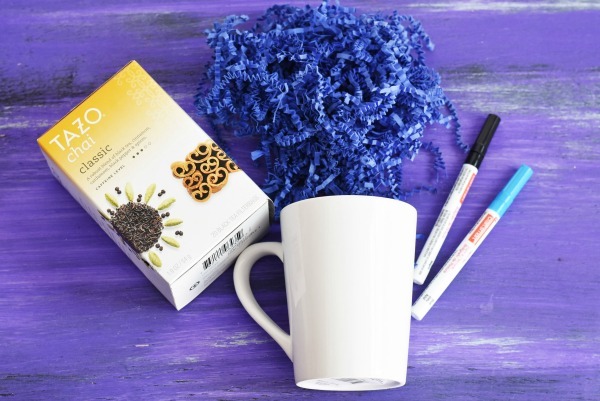 What grandma wouldn’t want one of these cute & easy DIY painted tea/coffee mugs? This is an adorable mug but I always seem to mess them up or the art doesn’t last long after one wash. any tips? That painted mug is such a good idea for tea lovers. It looks cute as can be when it’s finished. Aw, the coffee mug is so cute! We are celebrating with our grandparents next week at school. This is such a great gift idea. I know that my kids would enjoy making something like this and giving it to their grandparents. So easy, yet to elegant and heart warming! Any grandparent’s heart will melt with such a gift.